Dr. Ravaei is a former Chief of the Department of Podiatric Surgery at Saint Joseph's Hospital, where he was named 'Best Teaching Attending' by students and residents for two consecutive years. 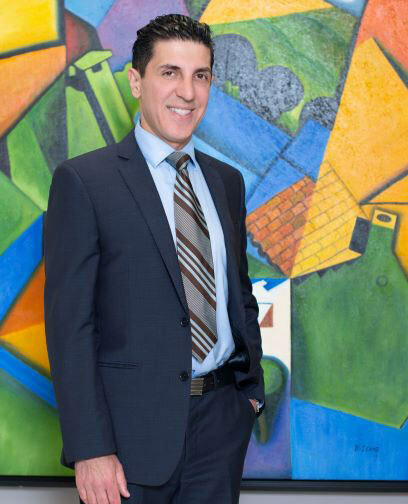 Dr. Ravaei graduated from Temple University in Pennsylvania and then went on to post-doctoral work at Eglin Air Force Base in Florida and Cooper University Hospital in New Jersey. He has performed more than seven thousand surgical procedures, is licensed in four different states, and is certified by the American Board of Podiatric Medicine. While many foot surgeons concentrate on correcting foot problems without considering the way they look, Dr. Ravaei prefers a more holistic approach. As someone who loves outdoor pursuits, he realizes just how difficult life can be when foot or ankle problems get in the way. If, like Dr. Ravaei, you love to rollerblade, hike, ride your bike, run, or just spend time at the beach, you need feet that are more than simply functional, you’ll want your feet to look good, too. As a highly experienced foot specialist, Dr. Ravaei’s surgical techniques are designed to be minimally invasive. This reduces patient discomfort and helps you heal faster. If you’re unhappy with the way your feet look, corrective surgery is his specialty. As a renowned Los Angeles foot surgeon, Dr. Ravaei sees patients with a wide variety of foot and ankle problems including fungal nail infections, warts, bunions, athlete’s foot, varicose veins, calluses, diabetic foot problems, heel pain, and ingrown toenails, as well as brachymetatarsia (a foot condition where one or more toes are abnormally short), and neuroma. His work has been featured in the Philadelphia Inquirer, on WHYY, Phl-17, radio, and in Instep magazine. With four convenient locations to choose from, patients in Southern California can be confident they’ll find it easy to benefit from Dr. Ravaei's expert knowledge as a certified foot specialist. Most offices are equipped with the latest in x-ray technology ensuring that patients receive minimal exposure as well as instant results. The practice also benefits from state of the art laser technology; an unfocused laser can be used to remove birthmarks, warts, and discolorations of the skin. The procedure is quick, less painful than traditional surgery, and patients heal faster. Lasers are also used to treat fungal nails. When he's not helping patients, or enjoying the outdoors, Dr. Ravaei loves to spend time with his family or watching reruns of Seinfeld. Please help us to help you. If you'd like to consult with Dr. Ravaei, please download and fill out these forms before visiting the office.